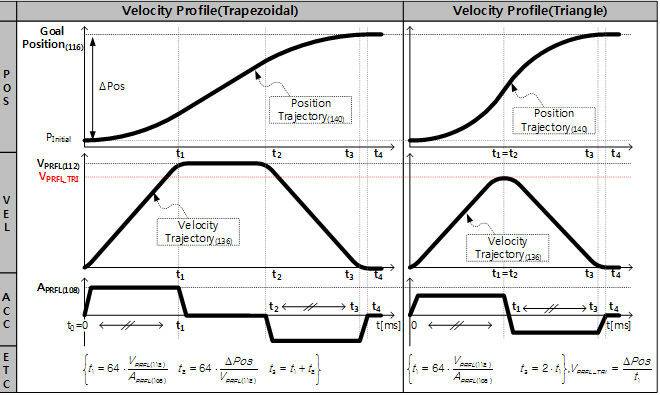 *Normally, stall torque is bigger than maximum torque on performance graph. Note 1) : MX(2.0) Firmware is different from MX series' control table and address. Please check the control table address before usage. Note 2) : MX(2.0) Firmware inherits Dynamixel X's function. Therefore, it supports Protocol 1.0 and 2.0, and various Operating Mode, Secondary ID, Drive Mode, Bus Watchdong, etc. Please refer to the control table for details. 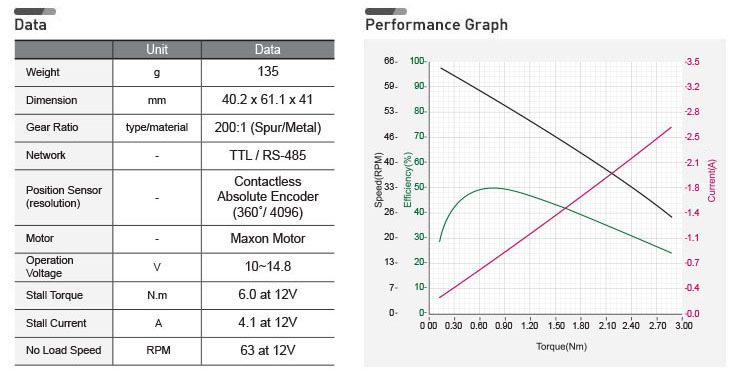 Note 2 : PWM is the abbreviation for Pulse Width Modulation that modulates PWM Duty to control motors. 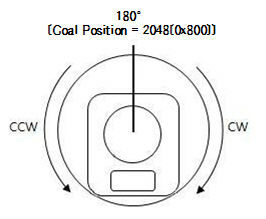 The PWM Control Mode changes pulse width to control average supply voltage to the motor and this technique is widely used in the motor control field. 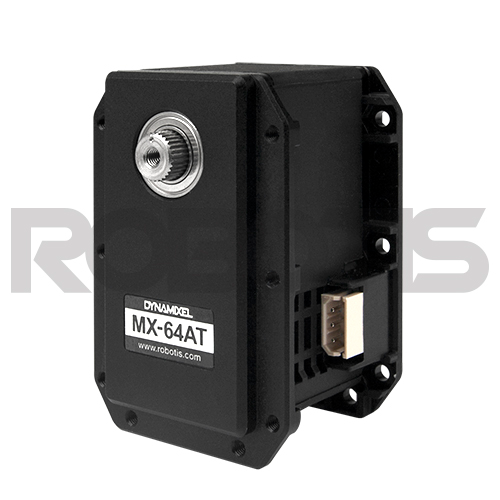 Therefore, PWM Control Mode uses Goal PWM(100) value to control supply voltage for Dynamixel. 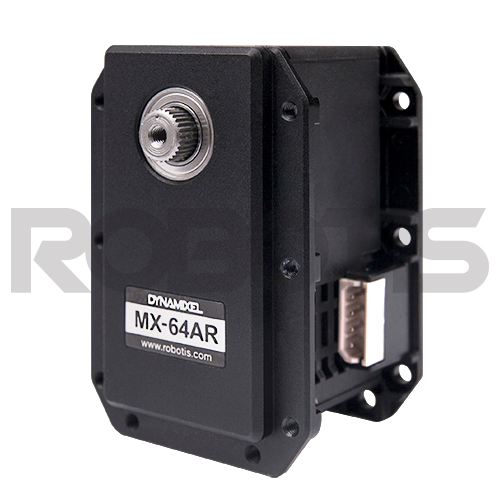 PWM Control Mode is similar to the Wheel Mode of Dynamixel AX and RX series. ⑦ VPRFL_TRI of ③ and Travel time(t3) to reach Goal Position(116) is calculated as below..